Here's how Jon Taffer and the Bar Rescue crew ostensibly hoped it would go down at the flagging City Bistro in south city last month: A once-struggling bar and its owner are saved when the hero businessman and his crew reworks the menu, the owner’s attitude and the bar's layout. After some resistance and crying, there is hugging. 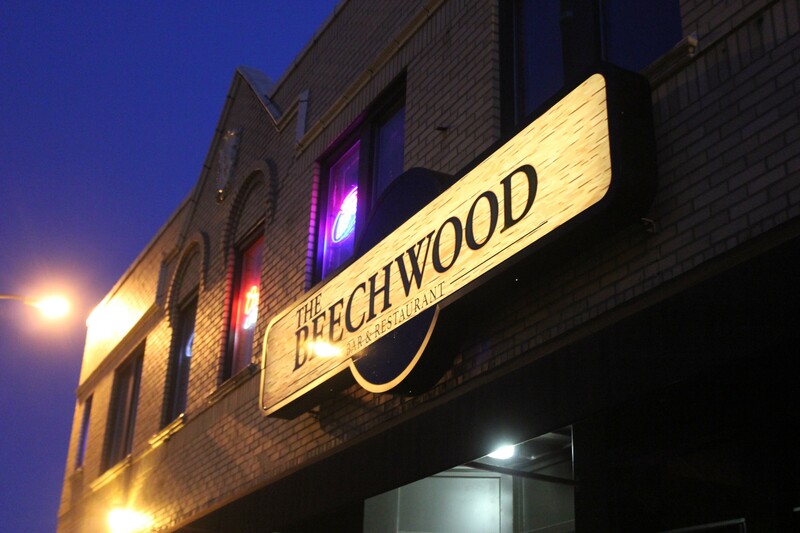 There are customers aplenty in the space now known as the Beechwood Bar & Restaurant. The owner admits the change was the best thing that has ever happened. Glasses are clinked. Revenue and celebratory cocktails flow. And, SCENE. Of course, reality is never that tidy. Bar Rescue left the space at 2718 Gravois Avenue in south city with a confused concept, an even more confused menu, non-functional beer tanks, an only sometimes-functional kitchen and a private party room that isn't open to the public. But hey...at least the place is spotless. As we reported last month, Taffer & Co. came to town in mid-November. 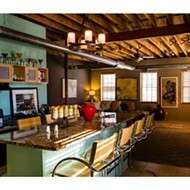 They took on Van Goghz in Tower Grove East, transforming it into a place that specializes in pressed cocktails called Crafted. 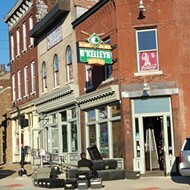 They also sprinkled their magic dust on O'Kelley's at the Ballpark, turning it into Pastimes on 4th. Our correspondents pronounced both a huge improvement. But we later learned the Bar Rescue crew actually visited a third St. Louis bar, a place on Gravois Avenue called City Bistro. 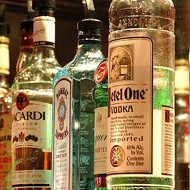 All we knew about City Bistro was that it had recently been accused of substituting cheap booze for top-shelf stuff — and that when an RFT editor tried to get the bar's side of the story, its phone had been disconnected. When she stopped by, the place was virtually empty. Unfortunately, it doesn't look like all that much has changed. Post Rescue, the biggest problem the Beechwood suffers from is an identity crisis, stuck between its former life and its new one. It's almost as though Taffer & Co. got halfway through the process and went, “Screw it.” On the night we visited, there were still stacks of City Bistro sandwich boards just inside the front door. The old “Bistro Burger” appears on the new menu. 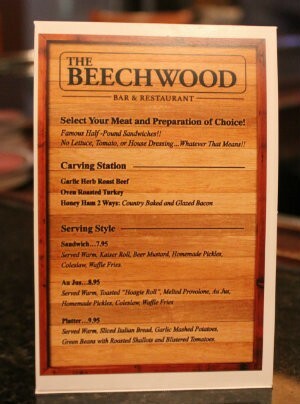 In fact, the Beechwood’s menu looks strikingly similar to City Bistro’s — if scaled back by about a third. 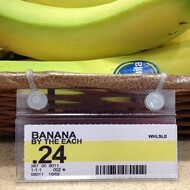 It also has one of the most confusing sentences we've ever seen. But what does it mean, Beechwood? But...what does it mean? That it’s just meat and bread? Or does it depend on the "Serving Style"? Can we get vegetables on the side? Is it cool if we take the lettuce and tomato out of the garden salad and plop it on our sandwich, or is that frowned upon? When we asked our (very hospitable) bartender, she admitted it didn’t make sense to her either. Nor did it to the the Beechwood’s only other patron. It was a moot point anyway: There isn't a night kitchen crew, so food isn’t served past late afternoon. The Beechwood does make its own sauces — but presumably not house dressing...Whatever That Means!! — and pickles. The half-dozen slices the bartender gamely gave us in a plastic shot glass were in fact pretty tasty. 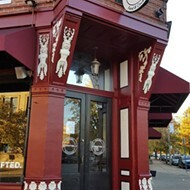 As for the Bar Rescue experience, our bartender said she didn’t officially start working there until after filming wrapped, but she heard all about the “stress test” the staff had to endure, the long days, the waivers that were signed and how the owner vowed she’d never do a show like that again. And that's not surprising. Reality shows aren't a quick, all-purpose fix. 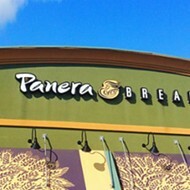 The restaurant and bar business is hard, and so is lasting, sustainable change. Which makes us think that maybe those tanks in the window — shiny and new on the outside, still empty on the inside — are perhaps a fitting symbol for the Beechwood after all. 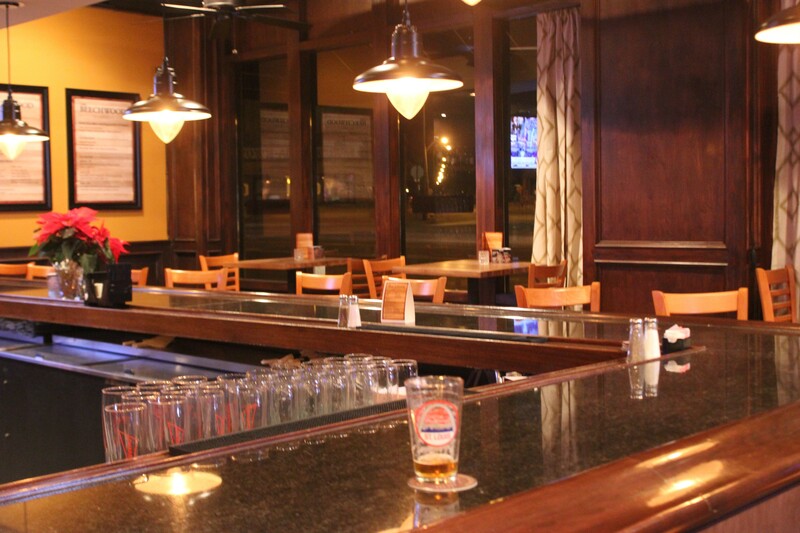 The Beechwood Bar & Restaurant is open Monday through Saturday from 11 a.m. to 1 a.m. 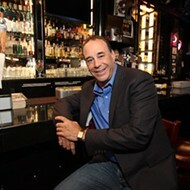 The episode of Bar Rescue is slated to air sometime in March.